Those Glaswegians are a lucky lot, getting to live in such a gorgeous city with so many things to see and do. 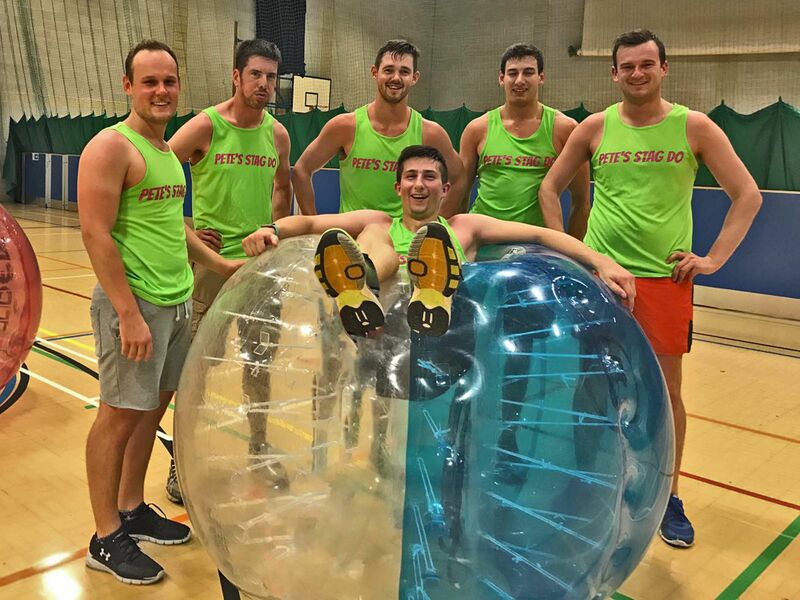 You too can experience the greatness of Glasgow, if only for a weekend, with the amazing Glasgow zorb football stag do, the perfect way to celebrate the grooms last night of freedom before he ties the knot for good! 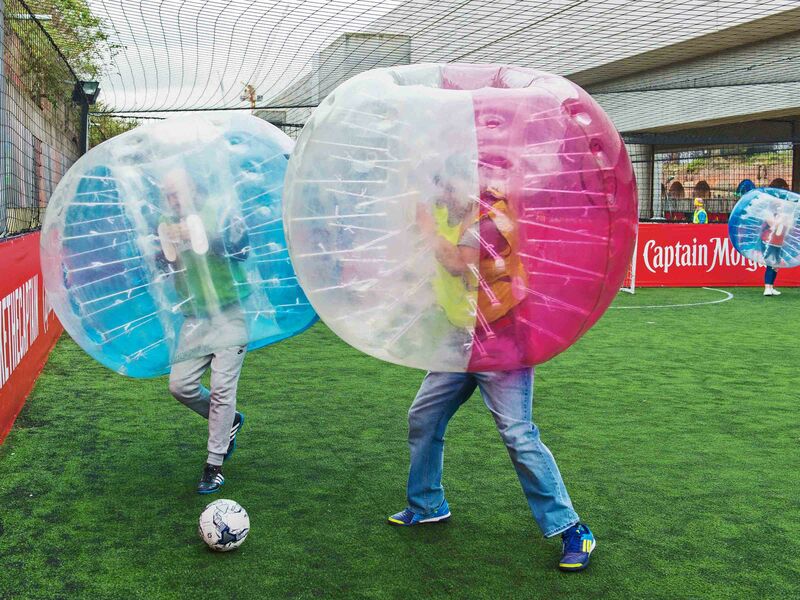 Glasgow stag do bubble football usually starts with a traditional game of 5-a-side. 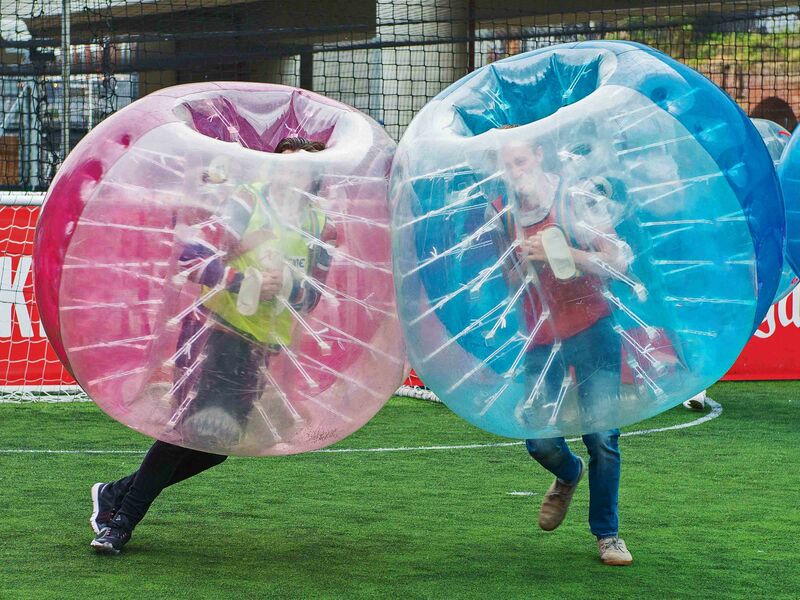 You’ll be wrapped up in a giant inflatable bubble and unleashed onto the pitch, where you’ll be bouncing and rolling around on the floor like the average Scotsman on a Friday night. Then you’ll move onto other crazy games like Last Man Standing and Bulldog to keep things fresh. Time to bring out those Dalglish skills! 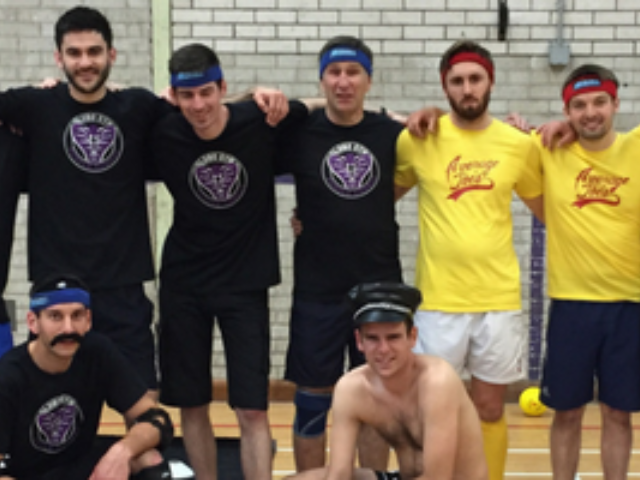 Glasgow stag do bubble football arenas tend to be located in and around the city centre, which is really handy as it means all the restaurants, bars, clubs and pubs are only a short walk away. A quick top tip, if there’s one thing the Scottish do well its pubs. 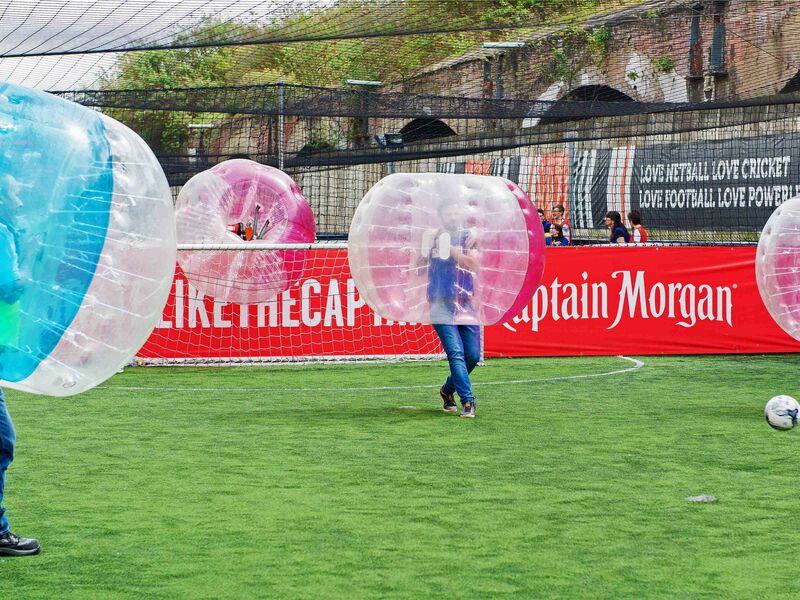 There are usually changing rooms in the Zorb centres so you don’t even need to go back to the hotel. Just play, change and head on out so see what Glasgow’s got. 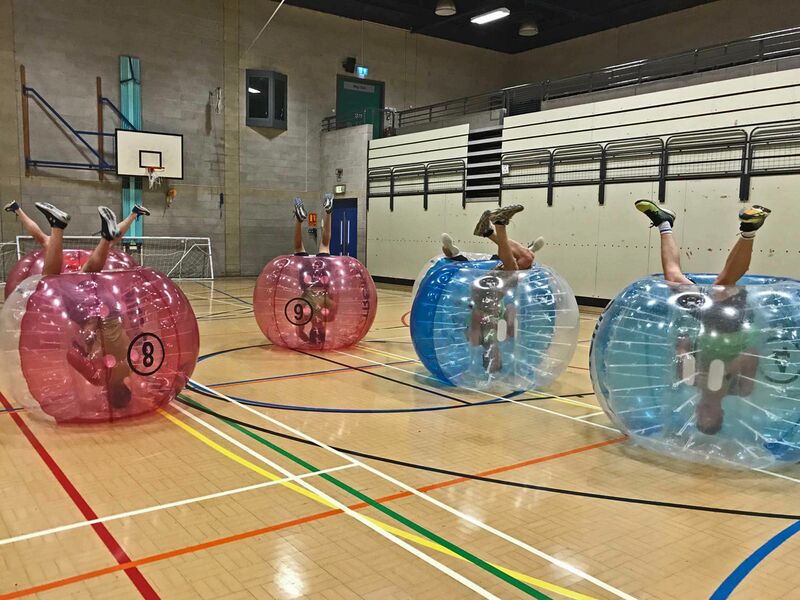 But make sure you don’t leave without having a few drinks at the Zorb centre mini-bar first! 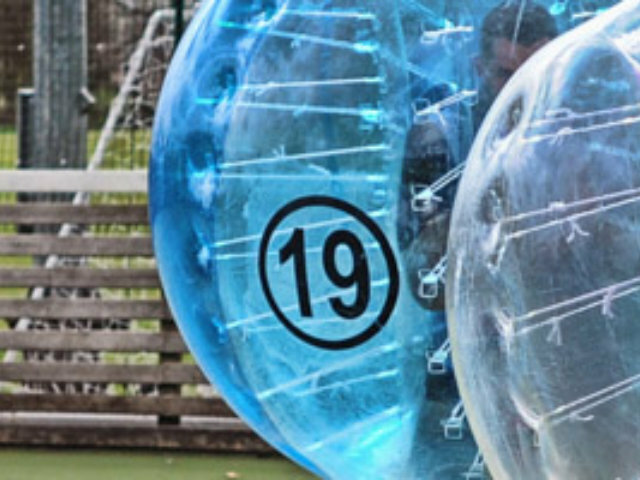 A Glasgow zorb football stag do is an incredible stag do experience that is not to be missed. Glasgow will ruin other cities for you with its stunning parks, fantastic festivals and amazing food & drink. 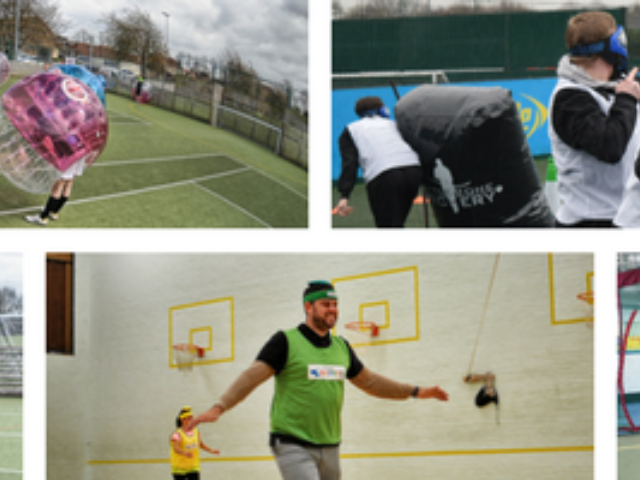 Booking with Funktion events is incredibly easy. All you have to do is fill in a simple enquiry form. We’ll get back to you in no time and then you’re on your way to Glasgow for an unforgettable stag do day.